There is a list of special public holidays dedicated to women -some of them localized and some international and marked every year in many countries. The best known women’s holidays are Mother’s day and International Women’s Day. 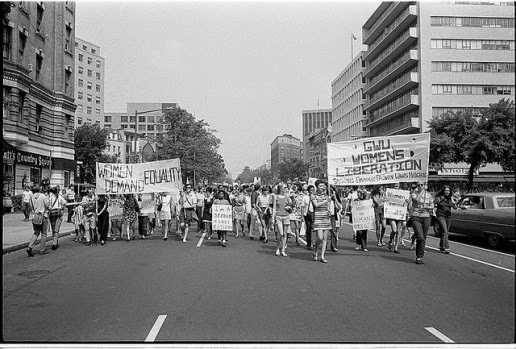 It is worth mentioning Women’s History Month and Women’s Equality Day, widely celebrated as well, but, unfairly, a little less talked about. Mother’s Day is a way to celebrate Motherhood as well as influence that mothers have had in society since the dawn of time. The complication starts with the exact date of the celebration. It is marked differently in various countries -some have it in March and some in May. I will say straight away that there is also Father’s Day that honors the role of fathers, this is not a one-sided discussion, and it takes two parents to raise a civilization. Mother’s Day as we know it was first celebrated in the United States at the beginning of the 20th century. The origin of the holiday has deeper roots in Greek and Roman traditions. Today, this event is marked in a lot of western European countries and the US, though some people criticize a commercial aspect of the holiday, describing it as nothing more than a money-making scheme on behalf of the card-making companies. The original idea was not related to spending money and setting the terrain for mothers to compete with each other. No, a beautiful tradition is at the root of Mother’s Day. Flowers have always been a representation of femininity, and the cycle of life. Mothers have always been given sprigs of Mother’s Day flowers to honor her role as the giver of life. The same happens on the International Women’s Day, today. Frequently, there is confusion when one mentions International Women’s Day in, for example, Australia, or Mother’s Day in Russia, as in the past they were quite regional and didn’t mix. But that is changing fast, as the United Nations pushed forth the motion for International Women’s Day to truly become international. International Women’s Day, or International Working Women’s Day, is celebrated on the 8th of March every year. The idea here went a bit further. It is not related to motherhood, but it celebrates women’s economic, political and social activities, and the freedom most women are still fighting for. It was first introduced in Europe and was particularly important in the Eastern European countries and the Soviet Union. At present the core political nature of this day has lost its impetus and turned into a simple appreciation of women and their role. A lot of issue is thrown at the idea of giving women flowers on International Women’s Day and leaving it at that, when the origins of this holiday were anything but frail and tender. Some critics who express their view that commercialism is becoming more visible in both these holidays are passing the message through, and the modern approach to honoring women’s holidays is no longer to throw money at them, but to treat them with the respect they deserve for at least that one single day. The role of women in many countries is not recognized as essential in enabling society to exist and prosper. That is why these feminine holidays are an important way to raise awareness. We should never forget the energy, dedication and care that humans – men and women equally –invest on a daily basis, in order to make everything function. And until everybody receives the respect they deserve, they should not be left out of celebrations. Good post on Mother's Day celebration. Hope more and more will respect and appreciate the role of motherhood.